Did you know that all the Mookaite you see comes from one claim owned by one miner? That's true! I met him a couple of years ago, and he's a pretty cool guy. 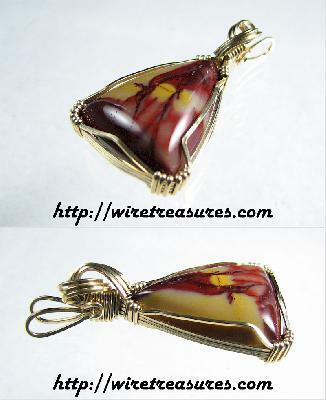 This little freeform-cut cabochon is framed in 14K Gold Filled wire for a warm and mellow appearance. Love it! 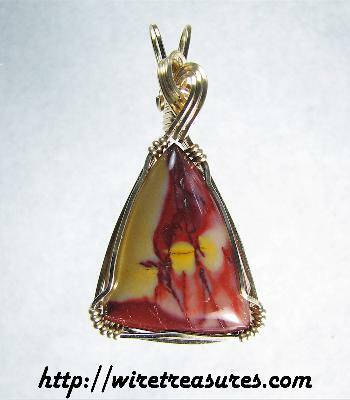 If Mookaite is one of your favorites, then click here to see all of the Mookaite items on the site!